Doors open at 5 pm. Proceeds to benefit the Methow Valley Community Center.Application forms available at the Methow Valley Community Center. Visit the Community Center homepage online. Scroll down for rules and entry info. 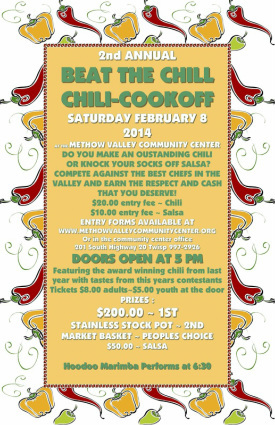 Application forms also available at the Methow Valley Community Center.You must return your entry by Feb 7th, 2014!